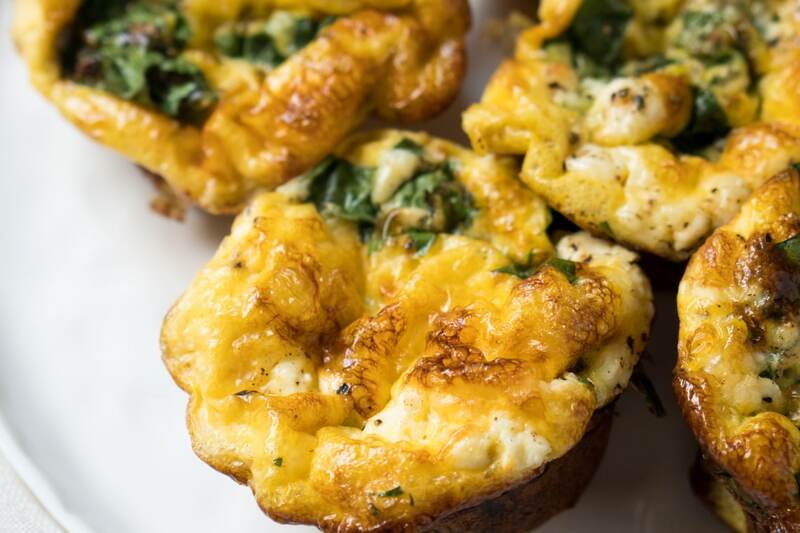 These low-carb spinach-and-egg muffin cups are an ideal breakfast-to-go. 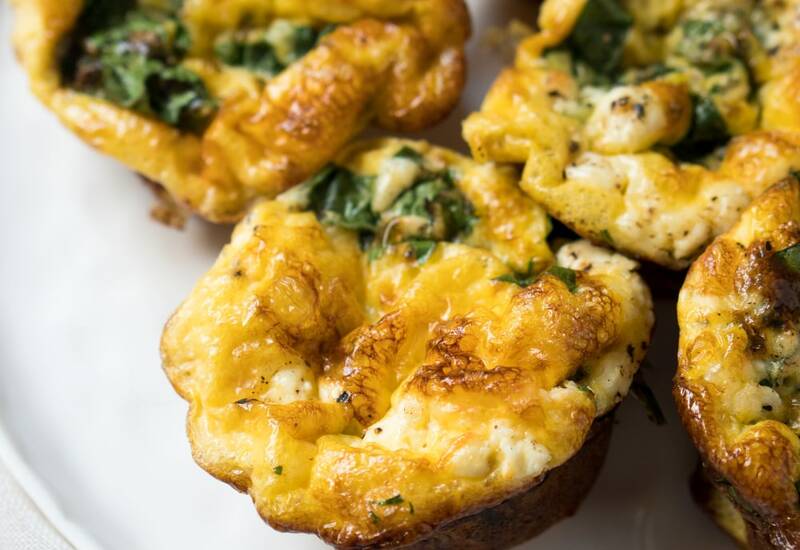 Make a batch, store refrigerated, and you’ve got yourself a yummy breakfast for the next three days! Feel free to switch up the toppings, think sun-dried tomatoes, kale, mozzarella, chives . . . And if you are feeling naughty, cooked bacon is a must! Per Serving: 185 calories; 12g fat; 3.1g carbohydrates; 15g protein; 379mg cholesterol; 481mg sodium. Simple egg cups that you can do a lot with. In addition to the spinach, I made some with prosciutto and red pepper. I personally don't like leftover egg cups the next day or two so I only make about 1-3 at a time to enjoy right away. 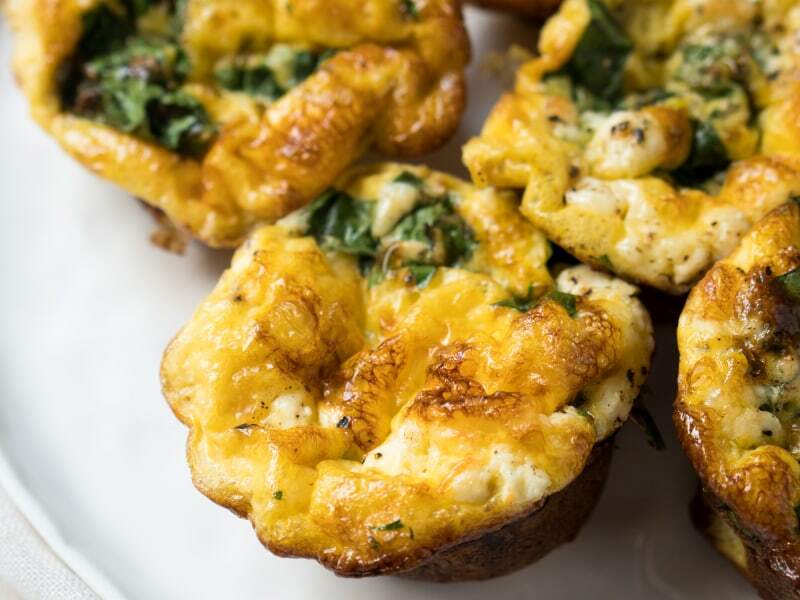 I made a batch of these spinach and egg muffin cups last week and now my husband and I are obsessed. We don't have a lot of time in the morning during the week, so this is the perfect grab and go breakfast for us on our long commute to the office. We did skip the nutmeg, just because we didn't have any on hand. Made these for my breakfast meal prep. Don’t love the way they regret but they’re pretty good still.